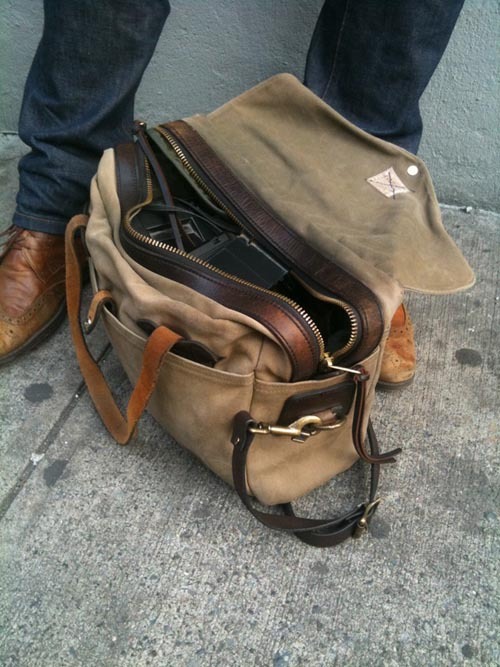 I am always looking for great pictures of Filson bags in their natural habitat. Nothing looks better than Filson tan with some hard-earned patina. This picture always grabs my attention (although I could not track down the original source of the photo) and I wanted to share it with everyone. I really like the way that the canvas has darkened, while both the overall structure of the bag and the bridle leather have softened. Also note the “X” running through the Filson tag, which indicates that this bag was a “factory second” purchased in Seattle. 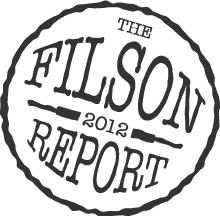 That detail adds to the character of the picture, showing that all Filson products, even those not meeting Filson’s stringent quality-control, are built to stand the test of time.